Zimbabwe is politically stable and will hold its general elections within constitutionally-prescribed time-frames, President Emmerson Mnangagwa has said. The President also paid tribute to Zimbabweans for being united throughout last year’s leadership transition. President Mnangagwa was speaking to Russian journalists at the World Economic Forum in Davos, Switzerland last week. “Well, I am not so sure who told you it is May or June (when we are going to hold elections), but it is soon. Zimbabwe is very stable in terms of politics. There is political stability. I am sure you are aware that this transition, which took place about two months ago, (was) a people-driven transformation, very peaceful. “I do not think it can happen anywhere else except in Zimbabwe because our people are united; our people know what they want. During that period of perhaps under eight or nine days of transformation in the country, hundreds and hundreds of thousands of people marched on the streets of Harare, also in other towns outside Harare. “But no single incident of damage, not a single window pane of any shop was damaged. As a matter of fact, crime during that period went down. There was very little crime being committed. “Which meant all of our people were focused, demanding change in the country. And (as) Zanu-PF party, we are based on trying to meet the needs of our people, and our people had spoken that they wanted change. On the election date, President Mnangagwa said: “Yes, we are going to go for elections in a few months’ time and we will indicate when. But I haven’t mentioned any month at all. In terms of our Constitution, every five years, we have to surrender ourselves to a new mandate and that we are not going to forget. “We will continue to obey the Constitution because we want to entrench constitutionalism in our system. 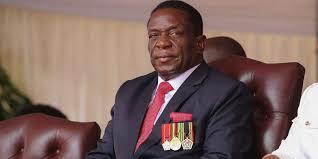 President Mnangagwa said Davos had given him an opportunity to present Zimbabwe’s new order to the world. “Zimbabwe is a developing country. It’s a developing economy and Zimbabwe has been isolated for the past two decades and so on. So, we (have been) lagging behind in terms of economic development for that period, 16 years, 18 years. “Primarily, our economy is agricultural, which means that the area we would want to modernise is agriculture. We want to mechanise our agriculture, modernise our agriculture, that is, at production level and we would want investors who want to participate at that level of production. “Then the second level (is) where the products of agriculture have to be processed: the value-addition, beneficiation of those products, and marketing. The President said Zimbabwe produced about 500 000 tonnes of cotton, but only utilised 30 percent; opening avenues for investors to set up shop in the sector. He clarified the indigenisation policy saying: “We may have issues. I am sure you are aware of indigenisation where it is required that those who come into these extractive resources (sectors) have to come at the sharing level of 51 percent local/49 percent foreign investors. “But we have said that ratio can only now relate to two minerals, that is, diamonds and platinum; because we don’t have a complete policy on our diamond industry and platinum industry. President Mnangagwa said foreign companies that had invested in particular industries were free to explore other sectors. “We have one Russian company, which came some years back, in gold mining. Initially, it came in for gold mining, but they spread their wings into diamonds. “Then we have another Russian partnership with the Government of Zimbabwe in platinum and those are the two areas where Russian companies are involved. But with the new dispensation, we are opening up. We are not restricting Russian companies to these two.